The simplicity and minimalism dominate the bathroom equipment collection that Noken is presenting at this 22nd International Exhibition by PORCELANOSA Group. 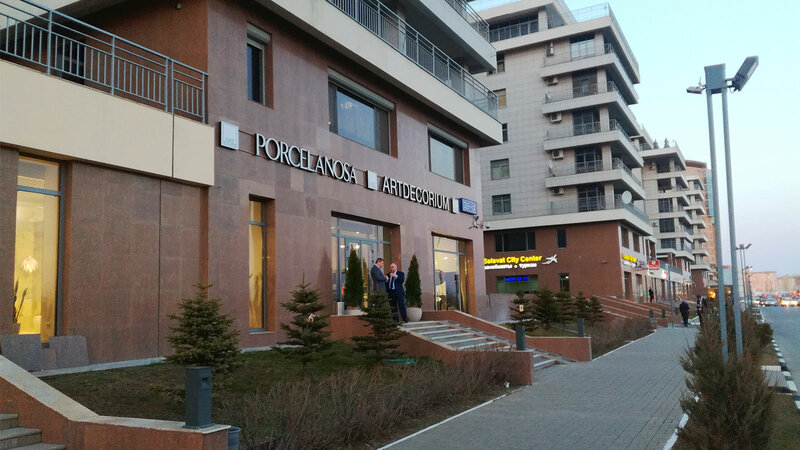 Therefore, the firm has completed one of the most cosmopolitan collections by means of new models of sanitarywares, bathroom taps and bathroom furniture, all designed to achieve an ambient full of harmony and coherence. 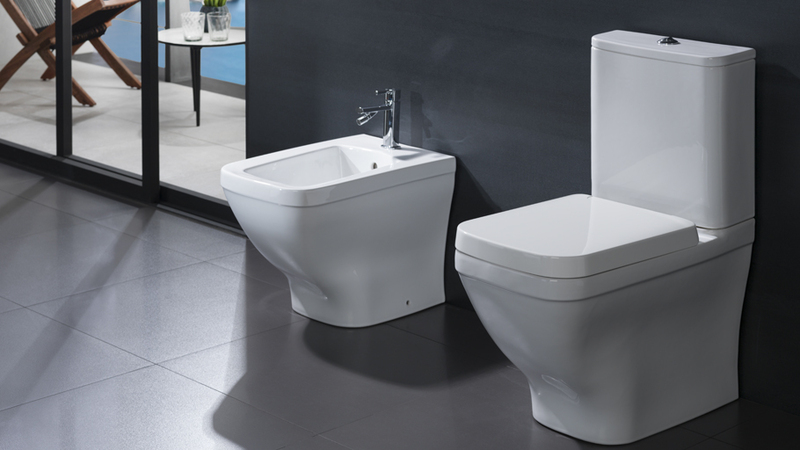 The pure lines with smooth edges of the NK Concept sanitarywares, bidets and basins portray a timeless collection throughout with shapes that convey visual lightness to this combination. All of this turns out to be a functional practical series, which is intended to become the new icon of the Noken bathrooms. However, the true core of the collection lies in both the elegant and stylish beauty of the taps and its advanced technology. 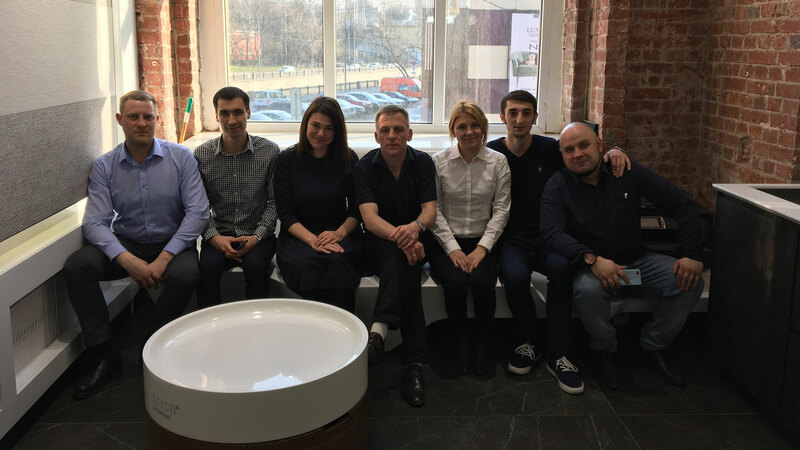 As far as taps are concerned, the NK Concept turns out to be the best solution for professionals and users who bank on a responsible lifestyle thanks to their environmental willingness. The turn on cold system and the use of flow restrictors allow a more responsible use of energy resources by avoiding unnecessary use of hot water and by reducing the bathroom water consumption by up to 60% compared with more conventional taps. 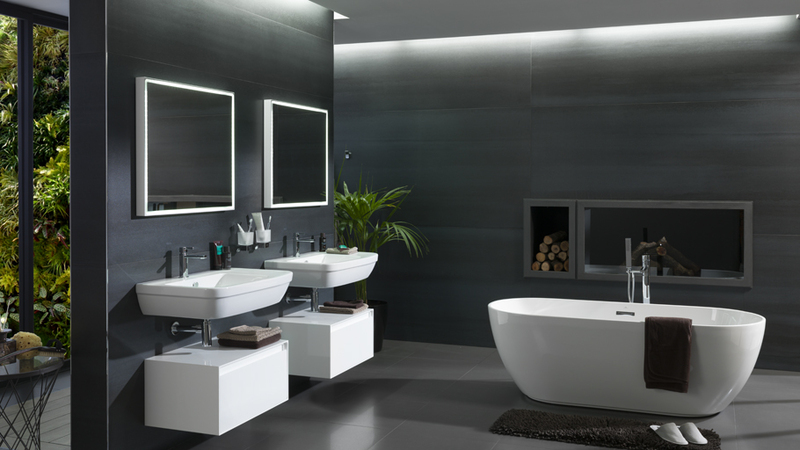 Designed to adapt to any kind of bathrooms and necessities, the NK Concept taps offer a wide range of mixer taps for basins, bathtubs and showers. Therefore, Noken offers up to five options of basin mixers, to be mounted on the washbasin, attached to the wall or fitted directly on the floor; taps for bidets; taps to be installed on the bathtub ledge or fitted directly on the floor; and exterior mixers for shower or bath-shower. 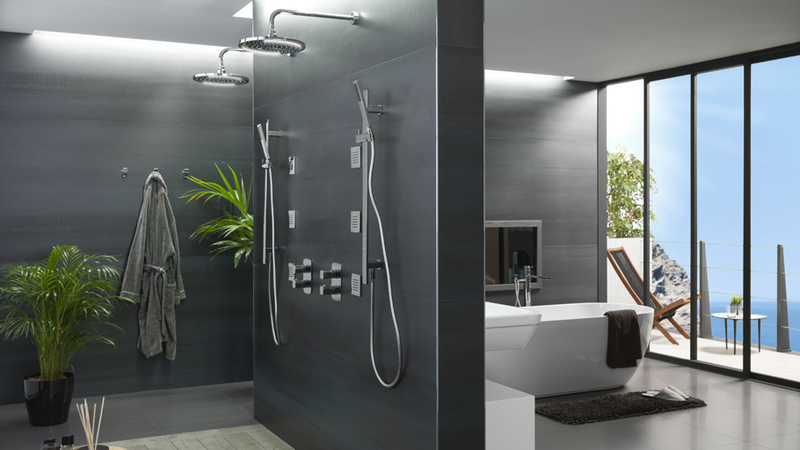 In addition, the NK Concept adapts perfectly to the technical solutions of the Smartbox Uno, Vario and Termo systems for showers, by combining together the set of a sliding rail, a shower hose and a hand shower, all of them in the same series.